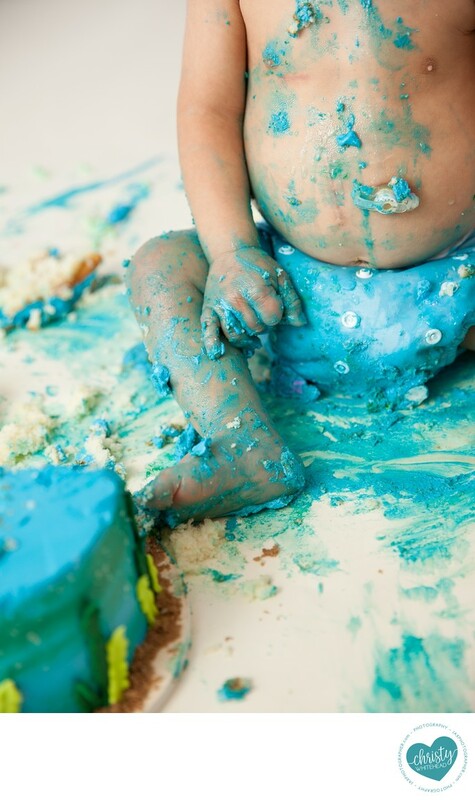 I love photographing all the little details, including the aftermath of a cake smash. It's soo much fun when it's just completely messy! Bold City Confections did a great job on this little boy's Dory cake. If you look closely, you can see he has a feeding tube. Joey has Costello Syndrome and we were sooo happy to be able to be a part of this experience with him.